DJI 2.4GHz Datalink+16 waypoints+Ipad compatible - RC Hobby shop De online shop voor RC vliegtuigen drones en benodigheden. The Wongkong-M Waypoint Ground Station is the upgraded version of the Wongkong-M Single Waypoint Ground Station. It improves the function of way point editing for the ground control station. The line of DJI waypoint products provides waypoint mode, F channel controller, general purpose servo action, and 6 route templates. The maximum way points that could be added are twenty. It also supports the changing and editing of the flight route before or during the fight. When user is in manual mode, the aircraft will hover when RC signal lost. But after 10S, if the signal doesn’t come back, the aircraft will find the take-off point precisely and return using the safest route and height . Then the aircraft will hover over the take-off point automatically after its activate point. This function offers the intelligent security protection for user’s expensive aerial equipment. In addition, the user can always click the return button, the system will interrupt the current mission immediately to order to return the aircraft to back the take off point . Click on any point on a 3D map, the aircraft can achieve the coordinate point automatically, particularly useful when some routes cannot be set in advance. Flight altitude and flight speed can also be adjusted rapidly and accurately according to the change of data and waypoints when the user has to change the target and flight mission. Waypoints can be set to the number of destinations up to 50. They are the basic unit of composition routes tasked to meet the complex requirement of the routes operating. 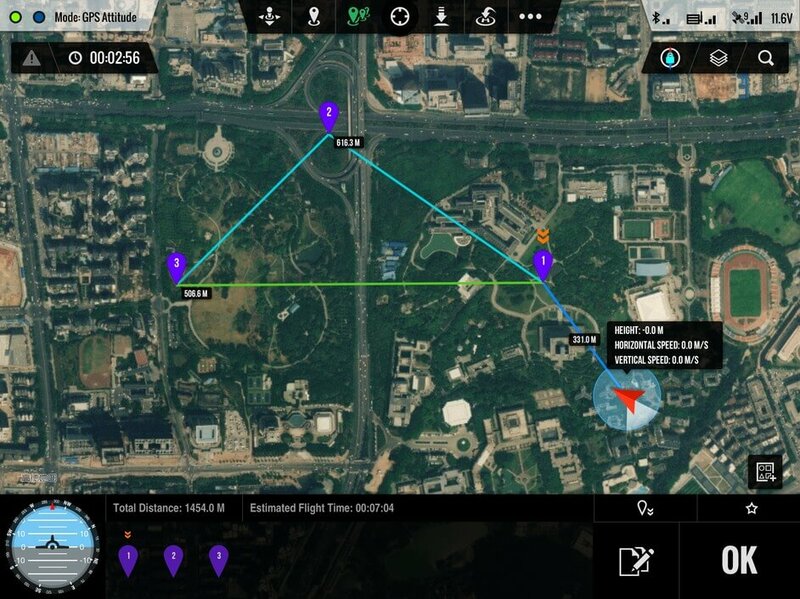 Users can carry out special settings for each waypoint, such as height, latitude and longitude, flight speed, the nose toward, the turning patterns and residence time etc. User can batch all destinations, by setting once if required. Fixed-point Mode: Aircraft flies to the first fixed point accurately, then stay at the fixed point and then flies to the next fixed point . The fixed points and the length of each stay also can be set in advance. DJI’s autopilot system provides two servo outputs to support custom servo feature. These two outputs can be used between the controller and or 3rd party devices. These outputs for example can be used for camera shutter operation, air-drop activation or other switching devices. 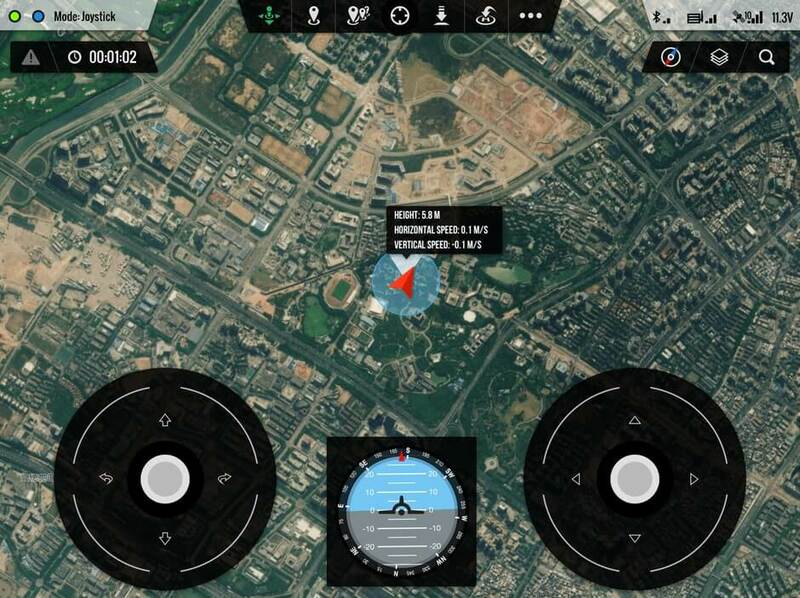 During flight mission, operator can re-edit mission such as modifying flight routes, or waypoints to achieve a real-time adjustment to complete the objectives. Operator can also click “Pause” button to suspend the mission; aircraft will slow down and hover awaiting new assignment. When and if signal is lost, the system will intelligently pick the optimal route to return home automatically.